Unfortunately we will be unable to accomodate any guests in wheelchairs on 17th June 2019, we apologise for any inconvenience. Please plan your visit accordingly. Please note that our lift has size restrictions for certain wheelchairs. Please call the guest services team in advance of your visit on 0151 705 6604 for further advice on these restrictions. If you are planning a trip to our exhibition and you have a physical disability or somebody attending with you has a physical disability do not worry. 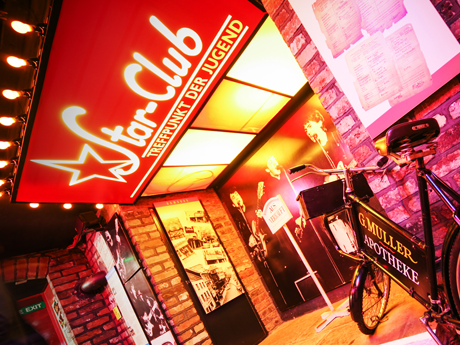 We endeavour to ensure access into The Beatles Story is uncomplicated and pleasing for all visitors regardless of any disabilities and we are committed to continually improving access to our attraction. Parking – Albert Dock has a number of car parks on site and has in total eight accessible car parking bays, with three available in car park A, near to the estate’s main entrance and five in car park B opposite The Beatles Story and Premier Inn hotel. Wheelchairs – The exhibition is wheelchair accessible. Due to fire evacuation procedures, we can only admit three wheelchairs on site at any one time. We have a standard wheelchair available which can either be booked in advance or provided on the day by asking a member of staff at the main entrance and is subject to availability. Lifts – We have one accessible lift situated at our main entrance (accompanied with audio announcements). Please ask a member of staff on arrival to assist with lift access. Please note that our lift has size restrictions for certain wheelchairs. A maximum load of two people or of 400kg can be taken at any one time and load size must be less than 1250mm deep and 825mm wide on the platform. Please call the guest services team in advance of your visit on 0151 705 6604 for further advice on these restrictions. Toilets – Wheelchair-accessible toilets are available within the exhibition and also in the Fab4 Cafe area. Please see a member of staff for assistance. Induction Loops – Induction loops are available to use with our audio guides. Please see a member of staff when picking up your audio guide. Large Print Gallery Books – We have large print transcripts available in all 11 languages offered on our audio guide, which are available at our Admissions desk. Please ask a member of staff for more details. Guide Dogs – Guide dogs are welcome. Sign Language – Should you require sign language assistance, please contact us and we will check staff availability to ensure that help is on hand during your day of visit. 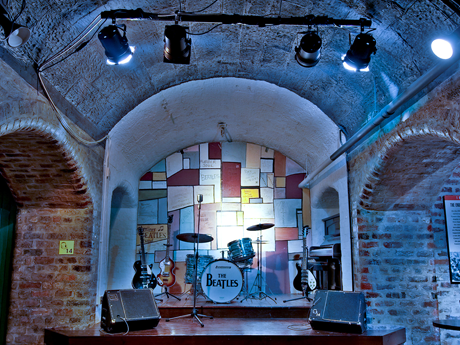 Fab4 Cafe – The Fab4 Cafe is located on basement level and is accessible via the exhibition. The Fab4 Cafe is partially self-served – however, assistance is available if required. To book a table in the Fab4 Cafe, please call the Cafe Manager on +44 (0) 151 709 1963 (ext. 233) in advance of your visit. In an effort to promote the very best accessibility practices, we welcome any feedback you might have. If you have any further questions please do not hesitate to contact us.